In a major metropolitan area like Phoenix, you'll find hundreds of places where you can buy furniture. You can go high end, and spend $20,000 on a sofa, or you can go to flea markets and garage sales. It just depends on your needs. Most of the time, when people are looking for a furniture store in the area, it's because they are moving to the Greater Phoenix area, and the cost of transporting all their belongings is a lot more than those pieces are worth. They are looking for furniture stores that don't sell junk but won't put them in the poorhouse, either. Here's where to go to buy moderately priced furniture. "American Furniture Warehouse is known to have the largest selection of furniture under one roof in the United States. American Furniture Warehouse makes a priority of working efficiently and keeping costs low so that those savings can be passed on to the more than one million customers the company serves each year." A Colorado company with two locations in Arizona, Gilbert and Glendale. "Ashley Furniture Industries, Inc. is the largest manufacturer of furniture in the world. Established in 1945, Ashley offers one of the industry’s broadest product assortments to retail partners in 123 countries." A sofa here might cost between $250 and $800, for example. Locations in Avondale, Casa Grande, Glendale, Mesa, Phoenix, Scottsdale. "The Big Tin Shed is family owned and operated having served Arizona for more than 30 years. Whether you need one piece of furniture, or a room full, we offer a variety of different styles to meet all of your decorating needs." Located in Glendale. "Our mission is to make it possible for everyone to purchase quality, long-lasting products for their home. We look forward to helping you find the best products online and in our stores." It's a national chain. Locations in the Phoenix, Scottsdale, Goodyear, Chandler, Mesa, and Tempe. "Del Sol Furniture's humble beginnings trace back to 1997 when entrepreneurs Venancio and Rosa Macias leased a small 2,000 square foot space inside a shopping center known as "Family Mart" on the east side of Phoenix at 21st Street and McDowell Road." Locations in Phoenix and Glendale. The name doesn't want to make me shop there, but after the furniture is in your home you can forget about the name of the store! This place sells overstock and showroom models. Located in Tempe. Family owned, local business. Specializes in adult bedrooms, living rooms, dining rooms, youth furniture, accessories. Mesa, Glendale, Phoenix. 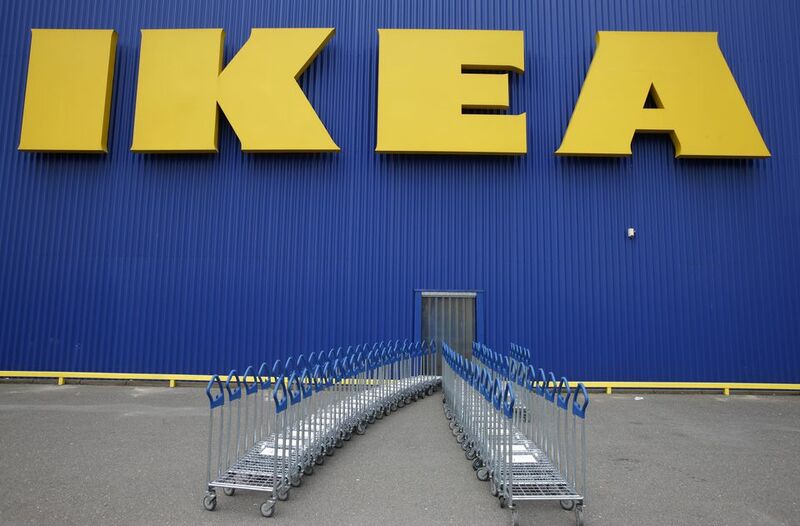 "The IKEA business idea is to offer a wide range of home furnishings with good design and function at prices so low that as many people as possible will be able to afford them." One location in Tempe. "This family run business has grown from a small garage operation to an 80,000 square foot home furnishings superstore in Phoenix Arizona, with a second 35,000 square foot showroom located in Chandler Arizona." Price for a sofa starts at about $300. Mega Furniture was started in 2002 and now has locations in Phoenix, Mesa, Gilbert, Scottsdale, Tempe, Glendale, and Goodyear. "With 30 stores in 7 states, Mor Furniture for Less has grown to become the largest family-owned and operated furniture company on the West Coast..." Locations in Tempe, Mesa, Glendale, Phoenix. "We specialize in a wide array of styles from urban industrial and rustic to shabby chic and vintage. Many items in our collection feature heavily distressed finishes and reclaimed wood." Family owned and operated. Scottsdale, Gilbert, Mesa. Outlet store in Gilbert. Consignment furniture (pre-owned). Terri started her first store with $2,000 in 1979 in Phoenix. Terri's Consign & Design Furnishings grew until personal circumstances and the recession pushed it into bankruptcy. ShopTerri's.com is the reinvention of that original concept, with a new owner. Ahwatukee, Chandler, Mesa, Scottsdale. All locations and offerings are subject to change without notice. Quotations were obtained from the company's website. Do You Know Where to Go to Vote for City of Phoenix Elections? Need a Charger Cord for iPhone? Or an iPad? Find Apple Stores Nearby.